Step Into the Beyond and read the 2016 RWA® RITA® Finalist for best novella: THE RESURRECTION OF SAM SLOAN, available now at all retailers. 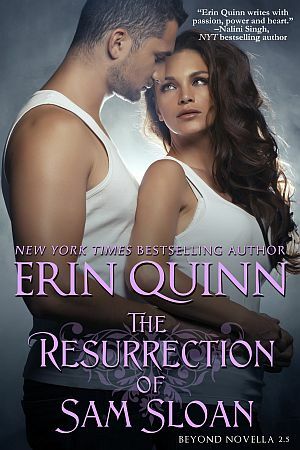 Trapped in the body of a human, the Reaper is about to fall in love with a woman he was never meant to have . . . When a reaper is trapped in Maggie’s estranged husband’s body, she knows only that the man with her husband’s eyes feels like a stranger . . . a compelling, seductive stranger who touches her in ways her treacherous husband never could. She wants to trust him, but how can she forget the past? And what about the ghost who haunts their home, implicating him in a gruesome murder . . . .